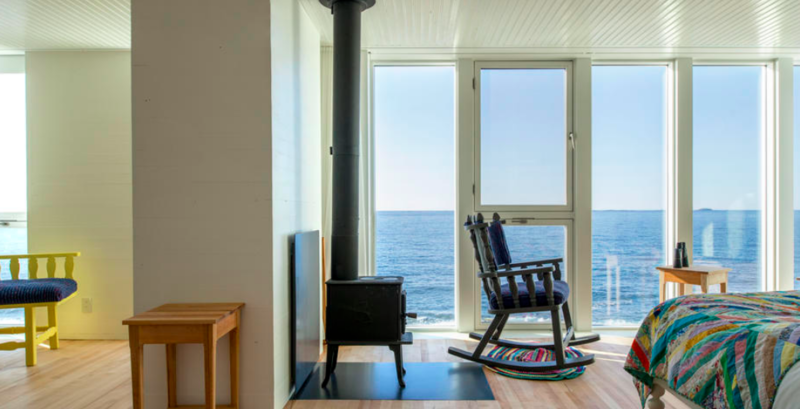 PRE: Fogo Island Inn - ROGER KERSHAW CUSTOM TRAVEL INC.
philosophically, socially, geographically and architecturally. Come and experience! 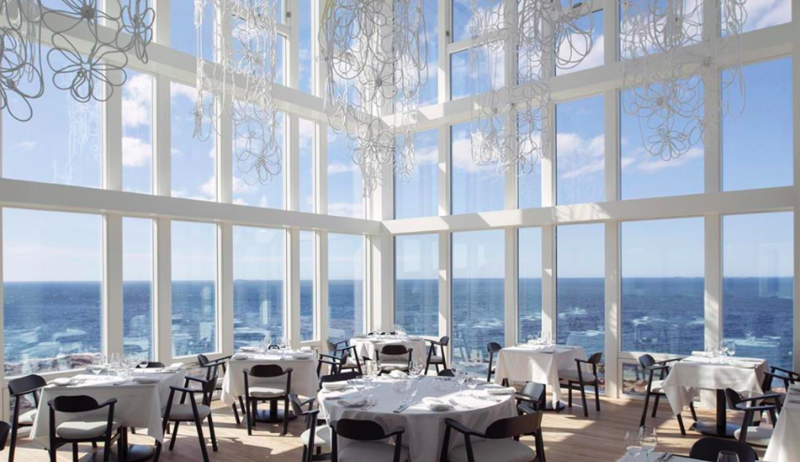 Fogo Island Inn's dining room was named among the top three "Best New Restaurants" in Canada by enRoute magazine. The Kitchen Collective is responsible for the Inn’s 48-seat dining room, 35-seat lounge and, for on- and off-site catering. The team finds inspiration in the ocean’s bounty, from ingredients grown on the island, and from Fogo Island’s time-honoured outport cooking traditions. Everything coming out of the kitchen is handmade – sausage, bread, baked goods, bacon, and mustards. 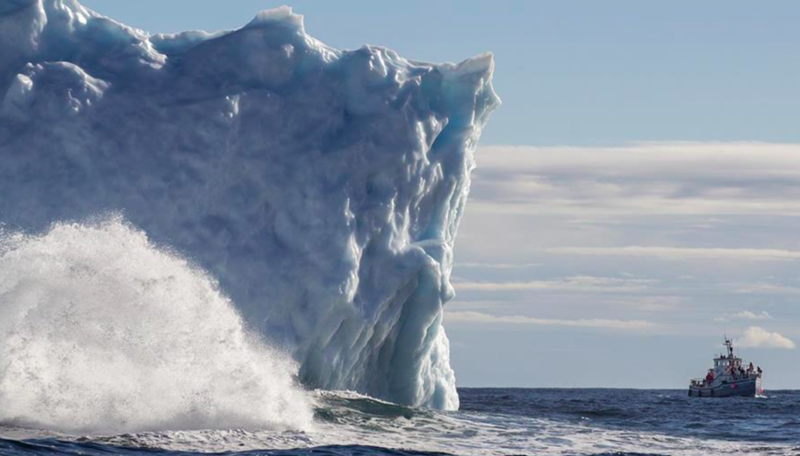 The menu changes with the wind and the waves and the seven seasons: a culinary mission that respects and celebrates the profound gift of place that is Fogo Island. 2- and 3- night stays available. Check in either 22SEPT or 23SEPT; check out 24 SEPT.
For rates based on 2 persons, deduct CAD200 for single occupancy. All rooms are exclusive of a 15% HST. Our Inn is a non-tipping social enterprise. A portion of Inn sales (15%) is shared among employees as part of their compensation. All credit card payments through Travel Edge subject to 4.5% service charge. Rates include all meals (welcome snack, daybreak service, breakfast, lunch, supper) and all non-alcoholic beverages, Wi-Fi throughout the Inn; bicycles for independent exploration; storm weather gear and rubber boots and binoculars in each room. Spectacular views from every room. Natural wood floors with in-floor heating. Custom made, organic, natural fiber beds. Heated towel racks, and heated toilet seats with built in bidet. Room amenities include: robes, slippers, books, locally sourced toiletries and an array of creature comforts, all provided with resting, lounging and “being” in mind. Nightly turndown service and 24-hour room service. Full use of all facilities within the Inn: cinema screenings, sauna, contemporary art gallery, gym and library. Half-day orientation with Community Host. And then there's the Shed Party! Most days, Phil Foley’s shed functions as an everyday workshop. However, it is also set up to entertain company when the opportunity suits, with ample seating and various knick-knacks and gewgaws hanging from the walls. So, what exactly is a ‘shed party’? “It's the same as a house party, only it's in a shed,” laughs Foley, who has catered to a number of noteworthy guests over the years, including dignitaries from Ireland and a Mayor of Toronto. 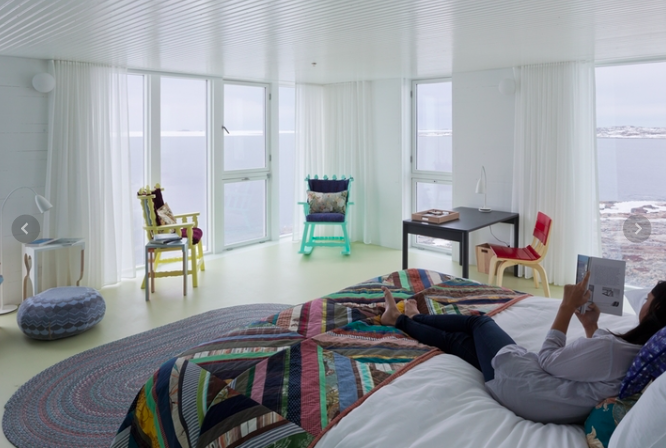 Destination Story Video: Fogo Island Inn, Newfoundland, Canada from LuxStory Media on Vimeo. This experience with local fishers offers an opportunity for understanding Fogo Island’s fishing industry past and present and includes time on board a docked crab fishing boat.